Five Dollars a day can make a lot of difference for many people especially if they are making it from one site, and hence they can set up as many $5/day sites as they can, and at the end of the month, it all accumulates to a handsome income. Even if just one site is set up generating $5/day consistently, it would be $150/month, and for some it can make a lot of difference because although on surface it looks just a “tiny” fraction of an income for those claiming to earn thousands of Dollars each month but when you look closely you would see that we can do a lot with this “tiny” income. For example, let’s say a site is generating consistently $5/day, and $150/month, we can flip it on flippa.com or warrior forum after just one month, or two months if you want to make it look more consistent, for $500 or $1000. So you see how beneficial can be “tiny” $5/day. Earning $5/day from a site whether it’s a free blog or a site running on a proper domain, is extremely easy, and only requires just 1-2 hours a day’s work, not more than that. If you are not willing to work one hour a day then please stop reading now, and go on dreaming big bucks and running after various crap products promising you false riches. And if you are one of those who really want to succeed online, then please read on and change your life once for all. What I’m about to show you in this report is a simple step by step method that anyone can use to make $5/day from one website consistently. You can make more than $5/day from this method but I’ve kept it to the minimum because it’s the least you can earn with the right amount of effort put in to this method. I won’t bore you with my story, and how I discovered this method [although I didn’t discover it because it’s known to all of us already, I just modified it a little bit to get the results I wanted] and so on because you and I both know how truthful these stories are in reality. 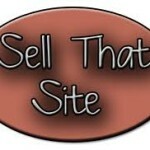 The method I’m about to show you uses Adsense to make $5/day from a single site. I didn’t use CPA because for most of you it would be very difficult to get accepted by any of the affiliate networks whereas Adsense is universal and has a very low barrier or no barrier at all for getting accepted by them. The whole method that I wrote in my ebook is based on my own personal experience and experience of my 10 friends to whom I taught this method. All of them are earning in the range of $5-$10 a day, and their earnings started within one and a half week of implementing this method. So you see this is not theory that most marketers out there write about without implementing their own methods. I’ve laid down each step as clearly as possible so that you can implement this method immediately after just one reading of this report. You don’t need anything to implement this method except just a free blogger account, an Adsense account, and willingness to change your life for better. So without any further ado let’s get down to business. Go to http://www.blogger.com and open an account there if you already don’t have one. When registering a sub domain, try to choose one that is a bit broad range or general, and can cover many topics or niches under it. In other words don’t restrict your domain to just one niche but rather it should cover as many as possible. And when your blog is created, click on the settings tab, and then on the Formatting tab. The first option is that of number of posts to be shown on the main page. By default it shows 7. You need to change it to 2. As a result of this change, the number of posts shown on your main blogger page will be two. I’ll explain the significance of this change a bit a later in the report. Now is time to make our first post on our newly created blog and start the whole process. Go to www.google.com/trends and click on the More Hot Trends link. The new window will show you the top 100 trends being searched by the people at that time. You can click on any of the trends that look to you interesting, and check its Hotness. Always choose trends with rising graph. If there’s a dip in the graph then don’t choose it because it shows traffic drop for that trend or in other words the dropping popularity for that trend in the search engines, because fewer and fewer people will be searching for it. After choosing a trend, go to your blog’s dashboard and click on New Post. In the Title of the post, copy & paste the exact title of the trend as shown on the Google trends page for that particular trend. Now in the body of your post, put the exact trend keywords again and use h1 tag to highlight them. As many of you have already observed that there are many stories on your chosen trend both in the search results and under the trend on the Google trends page. Take at least two stories on the same trend from search results and summarize their first paragraphs in your own words so that you have at least 3 to 4 lines of text on the same story or trend in your own words. Put this short paragraph in the post body right after the trend title which you highlighted using the H1 Tag. Now you can copy the rest of the story or better, various pieces of the story, from any result and paste them under your original paragraph. Please make sure that your post should not exceed more than 12 lines. Why not more than 12 lines? Because you are not here to provide full info to the reader, you are here to make them click on any adsense ad to exit your website to find more information on that trend or story and a good percentage of the visitors will click on an adsense ad to exit the site in this way. At the end of the post add 2 lines in your words again. Like a concluding paragraph. Now the last step before you publish your post. On the trend that you choose you will see some related searches just copy and paste them in the label section of your post. (Below where you enter the text you will see a box for related searches). Now our post is complete and you can hit the Publish button to publish your post on your blog. You can also add a related picture to your chosen trend. Before moving on to step 2, repeat everything above 2 more times so you have 3 total posts. This is the second method that we will use alongside with our first method of Google Trends discussed in Step 1 earlier. In this step 2 we’ll target various products that are being searched because everyday people are looking for information on different products and also buy them online. Go to amazon.com and choose some products. And people are searching for information on these products and looking to buy them. When you target a product based keyword e.g aerobed for kids, and post an article on this product/keyword, Adsense ads will also be related to this product and information related to the content in your post. Hence people will click on your Adsense ads to get more information or if your Adsense ad is showing some great deal or discount on purchasing that particular product then naturally your site’s visitors will click on that ad. What this means for you is better CTR and good Adsense earnings. The main advantage of targeting such products is that the majority of them offer high payouts per click. At times you can go upto $1 per click on some of these and even higher occasionally. The first thing you need to do in order to exploit this method properly is to go to amazon.com or some other product site that you can think of and open the google keyword tool in another tab or window. This will allow us to find products with a higher CPC. Enter the name of the product in the google keyword tool and then you will see how much people are paying google per click for traffic coming from searches of that keyword. I usually target products that have minimum of $1.00 CPC. But you can go for much higher, there are products with CPC as high as $5. Although this doesn’t mean that same CPC will be offered for a product when its ad is being shown on your website but it does allow you to target higher paying keywords. Once you have decided on the product you are going to use, you are going to have to make a post on your blogger blog. The title of the post should be the exact keywords as being used by the people to search for a product. You can simply copy paste the product name from the google keyword tool and use it in your post title. Simply copy the product description and some good review and paste it in the body section of the post. But as with our post in the Google trends section, add a short paragraph in the beginning of the post e.g an introduction of the product and add a concluding short paragraph at the end of the post. In the labels section of your post, add related keywords to your product including the main product name. If you are using amazon.com then you can copy the Tags Customers Associate with your chosen Product. Just copy them, if your chosen product have such tags on the product’s main page, and paste them one by one in the labels section of the post. And then publish your post. Since you are targeting products in your site too, so don’t miss out a chance to earn some extra affiliate commissions. You can also use affiliate ads or links related to your targeted products in your blog/site. Place anchor text affiliate links in the posts that you make on different products so that if a visitor decides to buy that product then he should go to the main website through your affiliate link. As a result you’ll be earning some good affiliate commissions too along with your Adsense earnings. Apart from the traffic coming to your site due to the trends about which you posted, you’ll also be getting some long term traffic due to your post on any product with good search volumes that people are searching for. Every day target a different product with high search volumes and good CPC. Use Google keyword tool to check the profitability of any product. There are literally thousands of products to choose from for your one daily product based post. You should target specific product based buying keywords being searched by the people on net, and make your post on it and use it in your text body and use it as an anchor text link for back linking for traffic purposes and getting better search rankings on the SE’s. So far at this stage you would have made three posts on three rising Google trends, and one post on a product with good CPC and higher search volumes. Now it’s time to add Adsense blocks in your blog. Go to the monetize option and select the option with the maximum ads. After making four posts, three on hot trends and one on a product (I usually recommend doing 2 posts on either your chosen product or target two different products, and as a result you’ll have in total FIVE posts on your blog daily), now it’s time to drive some heavy traffic to our site so that we can get the ball rolling. Don’t worry driving traffic won’t take a lot of effort from you. The first source of getting traffic and indexed extremely fast, usually under an hour, is to make post on dig.com. I won’t go in to details on how to register and make a post but I would tell you what to do when making a post on digg because it would greatly increase your chances of driving traffic to your trends posts. First of all make at least 5 new email addresses, you can also use any of your own 5 email addresses if you have that much. Then make 5 new digg accounts using each of these emails with different user names. If over time, any of your digg account is blocked you can make a new one by using a different email, or using a vpn or a proxy at the least. Now you’ll make 5 posts on digg using different account for each post. In the URL section of the digg’s post, make sure that you post the full URL of your blog’s post and not URL of your blog. This is the correct URL that needs to be placed in the URL section of the digg’s post. As you can see the URL has the title of the blog’s post in it. In the description section of the digg’s post you can copy some lines from your blog’s post and paste them there. So using this process, you’ll make three dig posts for each of your three trends’ blog posts, and one or two product based blog posts. So after you’ve made four or five posts on dig then move on to the second Traffic Technique. This method will also help you get some good heavy traffic and instant rankings within 30-40 minutes for your targeted keyword or trend. In this method you’ll post five or four questions (depending on the number of posts you made in your blog), and get answers to these questions with a source link in your answer pointing to that blog post’s URL. Now either you can yourself post a question and then answer it using a different yahoo account, or you can ask any of your friends to help you in this. Your question should contain the trends’ keywords in it, and the answers to these questions also contain these keywords. So you’ll make three questions targeting each of the trends about which you made a blog post, and then the answer to these questions should contain a source URL pointing to each blog post’s URL. In the same manner you’ll ask question regarding the product that you are targeting and then post or have an answer posted with a source URL pointing to your blog’s post. After completing this traffic step, move on to Traffic Technique 3. In order to use this technique, you’ll first need to add minimum of 2000 followers in your twitter account. But don’t worry, I’ll describe a method that you can use to add more than 2000 followers without any hard work at all. There you will find a list of top 100 twitters with most followers. Select at least ten people that you would like to target and follow. Try to target people with 10-20k followers and more if you like. Now for this step it would be better to have Firefox but if you are using the latest IE with tabs option then it’s okay. So open ten tabs and in each tab you must have each profile open, and as a result you would have 10 tabs with 10 twitter profiles of your targeted 10 twitter people. Now follow all of them, one by one and follow all the ten profiles. Every time you follow someone your name comes on top of their list of followers, so anyone who is following them will follow you, anyone who is following their followers will follow you first, anyone checking their profile will check your profile, anyone that sees their twit see yours first, so if you have 10 profiles and you keep following and unfollowing them every 5 minutes and within 10 minutes you will have 200-300 people following you. Basically top 10 twitter guys get 1000s and 1000s of adds every hour (not only that they get thousands and thousands of visitors to their profile), and when they are adding they check their followers so if you are on top of their list they would follow you as well. As a result of this method you’ll have more than 2000 followers in no time, and after that you can keep on doing this to add more followers. You can use this method first to make your twitter account loaded with followers, and then start using the full Adsense method. And the best thing with this twitter method is that you won’t have to use proxies or rotate ips. Just make an account on fleck, and drag the “Fleck” button to your browser’s tool bar and start tweeting your posts’ content on twitter. When using fleck, make sure that you tweet just the title of your blog post, with a link to your blog post. The main emphasis of the twitter method is not to do global conversation about topics, but rather to add as many followers as possible and then drive them to your posts to have them click on the ads. And believe me most do. We are not using twitter method for just taking part in conversations but rather to tweet about our posts or hot trends, and drive them to our blog. With reddit you must remember that your post title on reddit should be attention grabbing or interesting because you’ll get a lot of traffic from reddit only if your title of the post that you make on reddit while submitting your story is interesting, otherwise you may get less traffic. Yahoo buzz on the other hand is very similar to dig in respect of the style of post submission, and indexing results because both Google and Yahoo index yahoo buzz stories in less than an hour and you can easily find your story ranking on the search engines in no time after you submit it on yahoo buzz. Now it’s time to implement this whole system laid out in this report. If you won’t implement it you won’t make a single cent. Five Dollars is the minimum amount that you can make by using this system, and I personally know guys who are making around $10 daily from single sites by using this exact method, and majority of them have more than 10 sites each generating $5-$10 daily. What does Site Flipping means?